Polished vs. In-house Demos: What’s the Difference? Given democratic access to the finest fabrics, thread, notions, a sewing machine and the most sophisticated and elegant patterns, would you set about making your own fashionable wardrobe? Would you feel confident those pieces would project the business image you want to convey to the world? Yet, how many businesses arm themselves with tools like assorted software, YouTube tutorials, marketing know-how and a vague idea of what needs to be done to produce a video demo? Should they feel confident their final product will project the business image they want to convey to the world? Fair or not, just as professional image can make or break something like a job interview, organizational image can make or break your marketing efforts. You wouldn’t wear a suit you sewed in a beginning sewing class to interview for your dream job. Don’t put forth an in-house video demo looking as if it was patched together by beginners, either. Some tell-tale signs of a rookie, in-house demo include an amateur script, poorly produced audio and glitches in video navigation and playback. And in the end, a business has typically devoted too many employee hours to a less-than-ideal outcome — hours taken away from those other vital responsibilities. Creating compelling content with engaging visuals and a professional voiceover takes expertise developed over time. 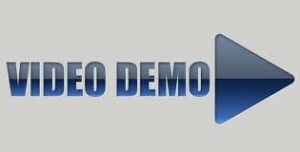 After 15 years at it, Autodemo has trademarked a Streamlined Development Process. From initial consultation to completed demo — with an average time investment of about five hours from clients — the process takes about three weeks. That process includes targeting the content and precise goal of your demo and seamlessly orchestrating script, voiceover and graphics for showcasing in any of your marketing tools and social media networks to extend your brand.